Taokan: new between the chopsticks! 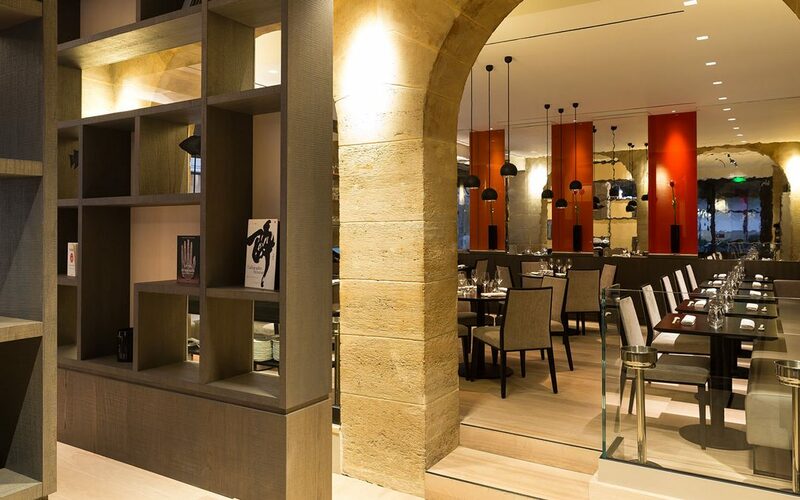 Nowadays an institution of Saint-Germain-des-Prés, and with a second address at rue du Mont-Thabor, one of the best restaurants in the Saint-Honoré area, Taokan, the gourmet Chinese cuisine by Christophe Daine, does not rest on its laurels and renews part of its menu. Hurry to discover! The Chief Executive of the two Taokan, Au Tien Dat, continues to juggle materials and flavours, further developing the kitchen that made the reputation of Taokan: classic Cantonese dishes made with mastery and more contemporary creations inspired by fusion cuisine. Taokan provides us with a dozen of tasty dishes in this way. For starters, the crispy duck Chun Juan, a fried Dim Sum typical of Canton, sure to delight the gourmets. The Gong Bao Ji, spicy chopped chicken Kung Pao style with its fresh vegetables, reinforces the legitimacy of the gourmet restaurant. Astonishing and special, tasting the Ruan Ke Xie is a true gustatory experience. It is a particular type of Asian soft-shell crab, delicately breaded in a wok, seasoned with salt, pepper, fresh pepper and a surprising savoury lime sauce. An atypical creation which fully expresses the modernity of Taokan. We finish off with a Qiao Ke Li Juan, crispy chocolate nems that, if not a novelty, remain a miracle of harmony between chocolate and crunchy batter.